You may have heard of the 80/20 rule in business, which says that 80 percent of your income (and your work) comes from 20 percent of your clients. In the gaming industry, they call the high-rollers “whales,” and casino staff do everything possible to encourage them to spend time, and money, at their casinos. Do you know who your whales are? The only way to be sure is to do (eek!) some math. The end of the year is the perfect time to take a closer look at your income. Every quarter, I add up my gross income, but the last quarter of the year I take it a step further, and divide it by client. Then I categorize my income into categories--like money from original magazine articles; money from my own books; money from ghostwriting and coauthoring clients’ books; money from reprints; and money from teaching and speaking. Totaling these figures tells me where my money is coming from, and what types of work have been the most lucrative for me. It also helps me set my goals for the coming year—such as increasing the percentage of income I receive from books, for example, or doubling the amount I make from reprints, which are a relatively easy way to make extra money. You can do the same thing quite easily. At the end of the year (or any other time you want), list your clients, and add up what each has paid you this year. Then determine what types of work you’ve been paid for in the past year. The categories you use will depend on the nature of freelance work you perform. If you write for magazines, do PR work for nonprofits, and do copywriting for corporations, for example, then add up the income you've made for each type. Adding up your income and where it came from is a critical first step. With this information, you can set more specific, realistic career goals for the coming year, focusing on what areas of your business are promising. You’ll also identify your whales--the clients who provide with you with the most work and money. Those are the ones you want to continue to work for. It’s much more efficient to do a lot of work for a small number of clients than it is to do a small amount of work for many clients. This seems obvious, but a lot of freelancers don’t take the time to determine who their most valuable clients are, and focus more time and energy on them. Your mileage, of course, may vary. If you write books or do ghostwriting, you may have more one-shots, or clients you only write for once. In this case, you may have different whales each year, but I still suggest you stay in touch with each--they’re a source of referrals and possibly more work in the future. Then go a step further and consider cutting ties with clients who aren’t worth the time and effort. If you’re writing for more than ten clients a year, chances are that there is some dead weight--let’s call them remoras--on your client list. Maybe you’ve been writing for a client for years but your hourly rate isn’t all that great--or the client’s PIA factor is so high, you’d like to cut him loose. Every client you work for involves opportunity cost, and if you never get rid of your remoras, you may be losing out on more lucrative ones. Make it an annual goal to determine not just your income, but where it comes from. When you know who your whales are, you can make sure they get the attention they deserve. 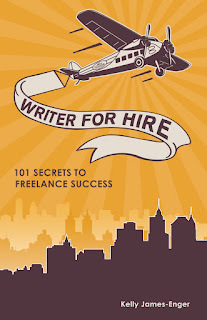 **This post comes from Secret 52: Name your whales, from my latest book on successful freelancing, Writer for Hire: 101 Secrets to Freelance Success. If you want to make more money from your freelancing in 2013, I suggest you pick it up! And happy holidays to my readers...I'll be back in 2013! 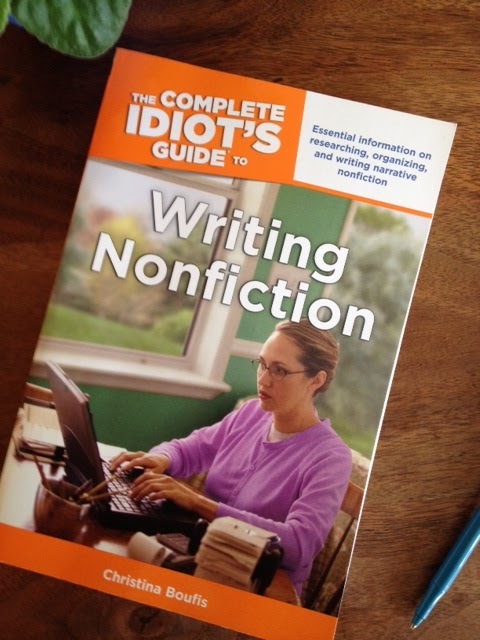 Christina, you cover nonfiction articles in your new book, The Complete Idiot's Guide to Writing Nonfiction. What kinds of tips do you give freelancers for writing stronger, more informative articles? First and foremost, as a nonfiction writer, you need to make sure you get your facts straight. Nothing can make you lose credibility faster if you don't. That means double and sometimes triple-checking statistics, quotations, sources, government publications, so that you are your own fact-checker. That aside, your lede has to be so compelling that the reader is completely hooked and wants to keep reading. I like starting with an intriguing bit of dialogue, an arresting statistic, or something ironic or humorous. If you can be funny or witty (appropriate to the subject matter), you'll keep your reader engaged. Then on the sentence level, my biggest tip is to rethink your verbs. I tell my students those are the $500 words. Adjectives are probably worth a nickel, and adverbs a penny. I stole that metaphor from somewhere, but it's true. We tend to use the same verbs over and over, so finding a strong verb (or one that is used in a different context) just punches up your prose. New writers often struggle with structuring articles. Any tips on how to do that? I have a picture of an iceberg over my desk, and I tell my students to think of the first draft as the iceberg draft. Don't worry yet about structure; just get it all down. Then on subsequent drafts you're looking at the water line: what needs to be submerged? What needs to be above the surface? It's at this point that I tend to do an outline, so I can find out whether I'm ordering information correctly or not. And then ask yourself for every paragraph: what am I really saying here? How well am I saying it? How does it fit with the whole? I try to end with a really good quote or something surprising, so the piece ends on a lift and ideally stays in the reader's mind. If I can't figure out how to end something, I take a look at the beginning. Is there an image I can return to? Also, your lede is your promise to the reader. It's like your train ticket. If you've told the reader you're going to Milan and the end of the piece you wind up in Venice, than something went awry with the piece. I'm a service journalist primarily, and find that I have a hard time writing profiles. Do you have any strategies you use to write a profile that captures a reader's attention? Profiles are hard as you're encapsulating a person (or some notable aspect of her life) in a very short form. But I love reading profiles because they're all basically sort of heroes or heroine's journeys: what has this person done that's so remarkable, unexpected, admirable? What obstacles did they overcome to get there? It's the tension that can make a profile come to life, so I basically start with the conflict, the seemingly impossible odds. Don't try to build tension or save it for the end to build suspense, as some of my students try to. On a separate note, I tell my students to scour their local papers for profile subjects. I've sold stories to national magazines based on a short profile I've read in my hometown paper, so always look for a person, an unsung hero or heroine, who might have national appeal. You also talk about interviewing, which is essential for freelancers. I'm seeing a lot of writers use email as their first choice instead of phone interviews. Do you have a preference? Why or why not? Oh, I loathe email interviews. I don't think you can capture the voice or even warmth of your interviewee or allow for the serendipitous remark that didn't come from your questions but just popped out of your source's mouth if you do an email interview. I use them as a last resort. Most of the meat of the interviews (I do mostly all by phone) seems to come at the end. And I use your trick -- Is there anything I haven't asked you -- at the end of each interview, and I get gold almost every time. If you send someone questions in email format, you get quick, static answers. And lots of incomplete sentences. I truly find them a waste of time. I know your book is aimed at newer nonfiction writers. Tell me more about it and what readers can expect to get from it. I wrote the book to answer all the questions (or at least some of them) that my creative nonfiction students always ask me: How do I begin? How do I tell my stories? How do I write well at the sentence level? How do I actually force myself to sit down and write? So it's really a book for novice writers. I cover a lot of ground -- everything from long-form nonfiction such as book-length memoirs and biographies to short profiles and travel essays. But the main thing I want to do in the book is to be encouraging. I think narrative nonfiction is the form of the late 20th and early 21st century. We're hungry for true tales told well. We want information in story form. And creative nonfiction is a democratic genre, open to everyone. So I think the book is the first step for someone interested in jumping in. Tell me a little bit about your background as a freelancer. How did this book come about? I started writing narrative nonfiction almost 20 years ago, before I realized it was a genre. I was teaching women prisoners at the San Francisco County jail, and I'd come home every day just feeling full of emotions that I had to get down on paper. I'd recently finished my PhD in Victorian literature and women's studies, and I wanted to be a writer, not really an academic, so I started submitting my articles about the jail. But I was working off an academic model where one or two published pieces per year is considered prolific. It took me years to learn that freelancing is a business -- and I learned a lot of that from your books, so thank you -- and over the last decades I've still taught and freelanced, though I no longer teach at the jail. I'd seen a call for this book on the FLX (www.freelancesuccess.com) forum, and I contacted the agent looking for a writer. So that's how that came about. Any other advice for successful nonfiction writing for my readers? A: Read, read, read. And then pitch the kinds of magazines that you're drawn to. Also never give up. Keep rewriting. And get support -- a forum like FLX, a writing group -- it's hard if not impossible to do this alone. ***Thank you so much, Christina, for your excellent advice. Readers, please check out her book for tons more great advice on writing stronger, more compelling nonfiction articles, essays, and books. And please let me know what you thought of this post! 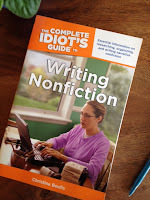 Do you have any questions about writing nonfiction you'd like to see answered here. Finally, I apologize for this post looking kind of screwy. I've spent several hours trying to debug it but am giving up now! What comes to mind when you think of “platform”? If you’re a book author, or aspire to be, you probably already know that platform refers to your ability to sell a book—in other words, what your name and connections bring to a book project. A platform is more than a specialty. Platform encompasses not just what you write about, but who your readers are--and how many of them know who you are, and may do something (like buy your book, or read a blog post or article because you wrote it) as a result. Once you’ve identified your unique value to clients, you can start building your platform, continuing to grow the one you already have, or creating a new one. John Borchardt, a Houston freelancer who writes for magazines and corporate clients, developed a new platform to help him diversify his freelance work. When you have chosen your platform, make sure you can describe what it is and what it means for clients. For example, my current platform is that I’m an experienced collaborator who helps health, fitness, and nutrition experts writebooks. That’s a short, specific statement that describes my value to potential clients. Second, make sure that you’re spreading the word about what you do. Your social media presence on sites like Facebook, LinkedIn, and Twitter should remind people of your platform, as should your email signature. The same goes for when you meet someone online or in person. Ideally, everything you do should support and continue to build your platform, whatever it is. If you’re resisting the idea of limiting yourself to a specific identity, remember that your platform can always grow and adapt as your writing career does. A platform isn’t static; it can grow and change as your career does. The key is that it reflects your unique identity as a writer, and helps you reach clients who will want to hire you. 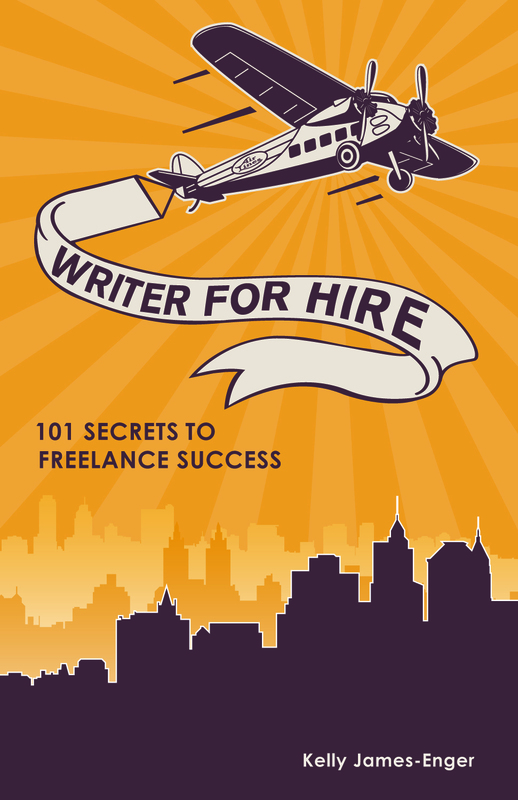 **This post was drawn from Secret #11: Create a platform, from Writer for Hire: 101 Secrets to Freelance Success. Writer vs. Source: When Can you Be Both? Regular readers of this blog know that I often suggest that new writers start off pitching ideas that they already have some personal experience or background knowledge of. Demonstrating that you’re, as I say, “uniquely qualified,” to write a particular article or blog post boosts your chances of getting an assignment. Sometimes you may want to demonstrate this experience by using a first-person lead or personal anecdote in the article itself. But when is it appropriate to insert yourself into a story, and when should remain a reporter alone? In other words, when you’re writing a piece, when should you play both writer and source? With some types of writing, it’s pro forma to share your experiences with your readers. Take a personal memoir or essay, where the piece itself springs from something that’s happened to you. But for a reported article, inserting yourself may be unnecessary at best, distracting at worst. Consider its impact. In some instances, a first-person anecdote may not work for a particular story. For example, when I wrote about how to avoid employment discrimination claims for a small business magazine, I chose to use real business owners as anecdotes. Yes, I was a lawyer in my former life and had defended these kinds of claims, but I felt that my experience might overshadow the article. Run it by your editor. Make sure it’s all right with your editor to include yourself before you do so. In several instances, I’ve suggested a first-person lead only to have an editor tell me he prefers me to stay out of the story. For example, when I pitched a piece on how to avoid running injuries, my query included my experience falling and concussing myself during a run. (I’m a klutz.) But my editor at Runner’s World asked that I write a straightforward piece without using any anecdotes, including my own—so that’s what I did. Consider your duty as a writer. Each of us has our own prejudices, experiences, and biases. If I were to write an article on the pros and cons on having an open adoption, ethically I should disclose the fact that I happen to be a parent who has open adoptions with several of her children’s birth parents. Can I write an objective piece about this subject? Certainly, but I think I would have to reveal my own experience in the piece. Keep your standards high. Using your own experience in an article is no substitute for conducting research. A common rookie mistake by new freelancers is thinking that because they know something about the subject, they don't need to call on experts or other sources for the story. I suggest you err on the side of over-researching, even if you plan to include a first-person anecdote. That will help you write a balanced piece. Bottom line? Inserting yourself into a piece isn’t appropriate for every piece you write. But judiciously sharing your own experiences can make your work more compelling, relatable, and marketable. ***Readers, what do you think? Do you use first-person anecdotes or do you avoid them, and why? I welcome your comments. ***Finally, a big thank you to readers who have purchased my latest book, Writer for Hire: 101 Secrets to Freelance Success. It's selling steadily, as are my line of ebooks for new freelancers!